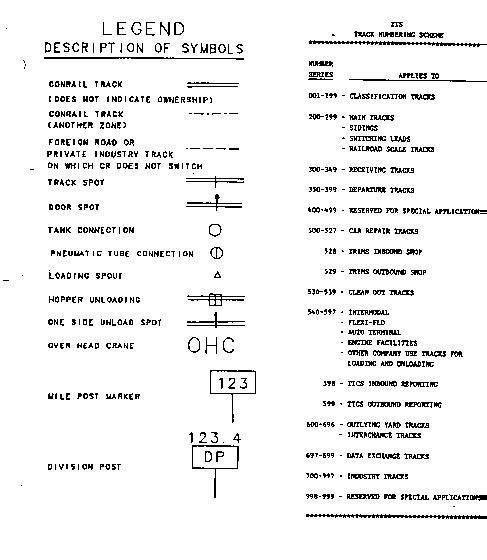 Here are some ZTS or Zone Track Spot maps. They give a track diagram and each track, siding and spot on the siding is numbered. This number works like the Dewey Decimal system in Libraries, to identify a location on the physical plant. A car is given a ZTS number as a destination, so no mistake can be made in the switching and movement of the car. Some sidings serve more than one customer, so this number is important in getting the car to the correct place. I got these maps at a model railroad show a few years ago. 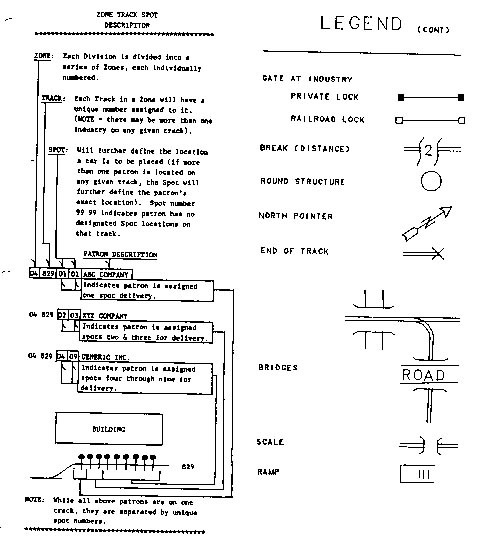 They depict CONRAIL's (now the R&N's) Lehigh Line. It also shows other major yards and features in the Wilkes-Barre/Scranton area. Also, please note that these are 1990 and some things have changed. Most notably, from Pittston Junction to Dupont Junction, the Lehigh Line is single tracked. Also Taylor Yard has been re-arranged. The R&N, has I think only one track in the yard. Some tracks have been removed in the center of the yard to allow for intermodal operations. Steamtown yard also looks like it has had some work done since 1990. PNER has departed from regional rail operations since the 1990 map. Customers at industrial parks have changed too. But for the most part, the maps give a good overview of trackage.